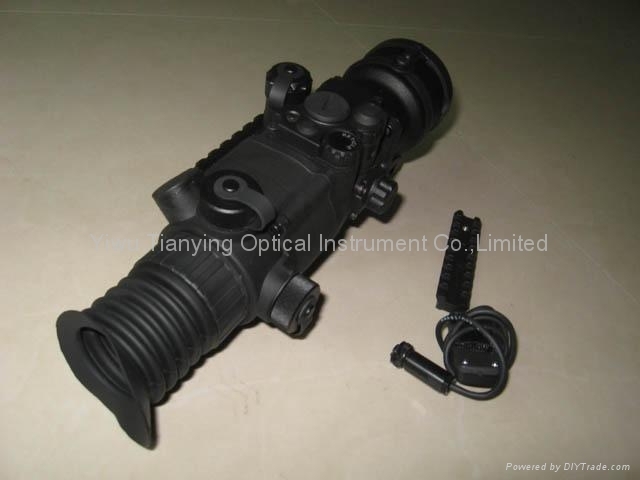 The Phantom Night Vision Riflescope takes into account all requirements for modern night hunting. The Phantom has a strict design and highly functional. 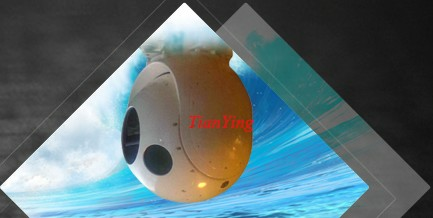 It is waterproof (gas filled optical channel, impermeability class IPX6) and can be used in precipitation of any intensity. 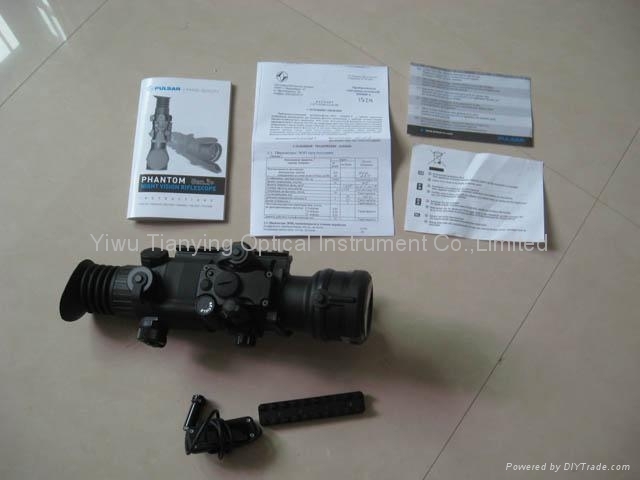 The gas filled channel prevents optics and internal cavities of the riflescope from condensation that may be caused by temperature difference or higher humidity. Design of the body and a reinforced component tube ensure shockproof with the use of heavy recoil ammunition, including 9.3x62, 9.3x74, 375H&H. 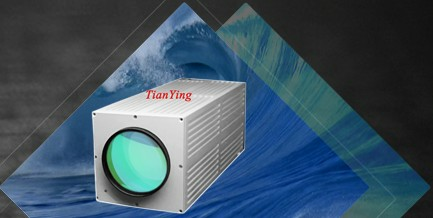 The Gen II+ tube with automatic brightness adjustment and along with high aperture lens provides sharp and clear picture. High light gain constant allows hunting even in situation of critically low night illumination (down to 10-4 lx – “night sky in clouds”). 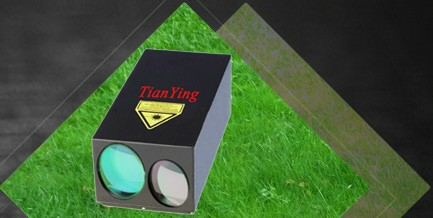 A problem of choosing a reticle also has been solved effectively. 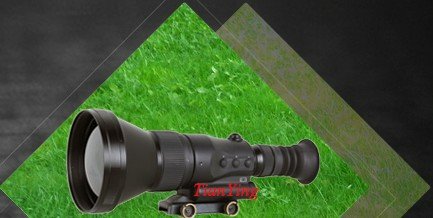 With the Phantom hunter can choose the most suitable configuration of the reticle and change it by simply pressing of the button. Voltage stabilization system eliminates risk of the reticle shift even with almost discharged battery. The hunter can choose one of the three reticles that suits the specific situation best and switch it by a simple push of a button. 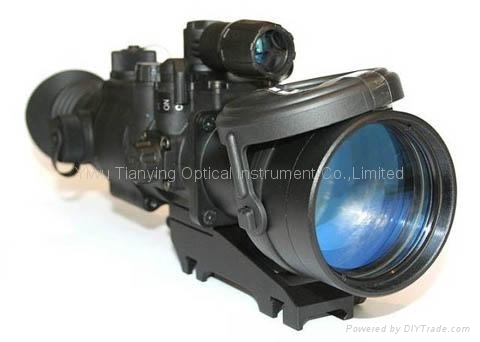 Blinking of the reticle means that the battery should be replaced within 15-30 minutes. 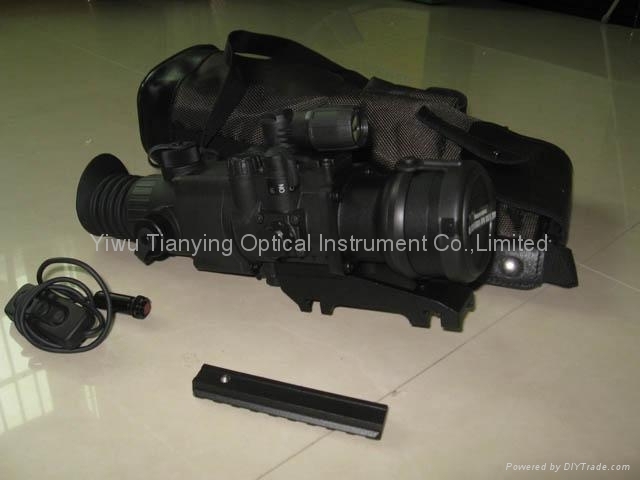 A Weaver 7/8” rail on the left side of the body is used for affixing various accessories: additional and more powerful IR-illuminator, laser pointer, directional microphone etc. 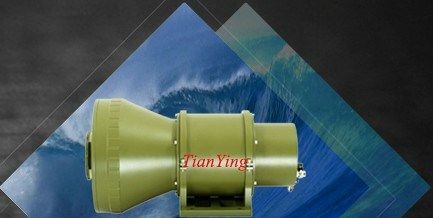 Main controls are on top of the upper board excluding unpredictable changes of setup parameters. 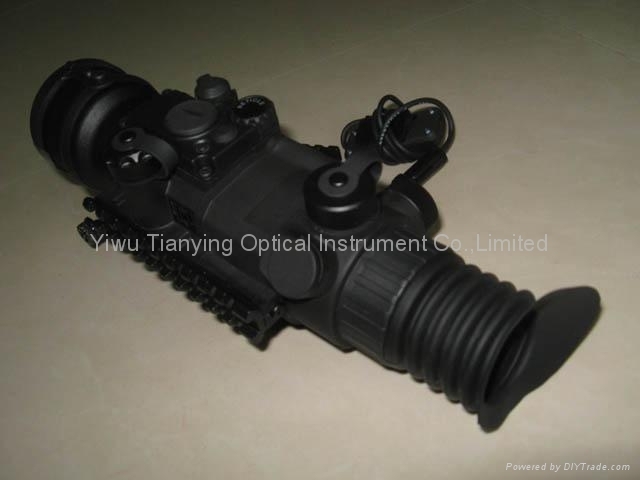 * The riflescope may use various tube types, including EMP66G (Russia), DEP XX1441, XR (The Netherlands) etc. * - In normal viewing conditions (natural nocturnal illuminance 0.05 lux (quarter moon), no ** - Depending on the region of sale.